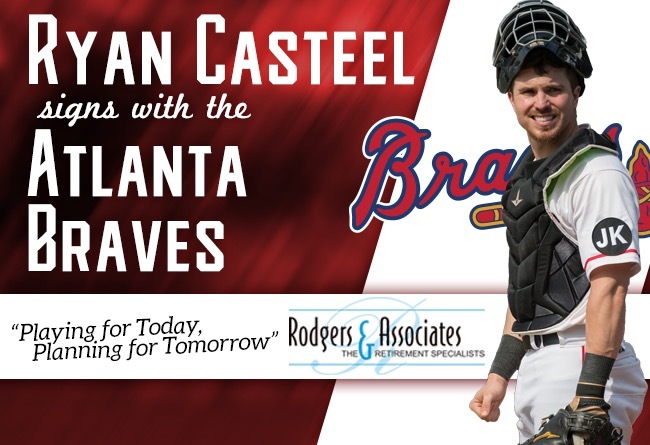 (Lancaster, Pa., Jan. 25, 2019) - Catcher Ryan Casteel, a member of the 2018 Atlantic League All-Star Team and the Barnstormers Player of the Year, has signed a minor league contract with the Atlanta Braves, it was announced today. He is the third member of the ’18 Barnstormers to join a Major League organization this month, joining Matt Marksberry (Arizona) and Blake Gailen (Los Angeles). Casteel, 27, batted .321 with 16 homers and 70 RBI in 104 games for the Barnstormers this past season. The right-handed slugger had two grand slams and became the third Barnstormer to hit for the cycle when he performed the feat at Sugar Land, September 1. He finished fifth in the league in batting and second in slugging with a .523 mark. Prior to coming to Lancaster, the Cleveland, TN resident spent seven seasons in the Colorado Rockies organization and one with the Seattle Mariners. He reached Class AAA Albuquerque in the 2015 and 2016 seasons.